You choose the games! 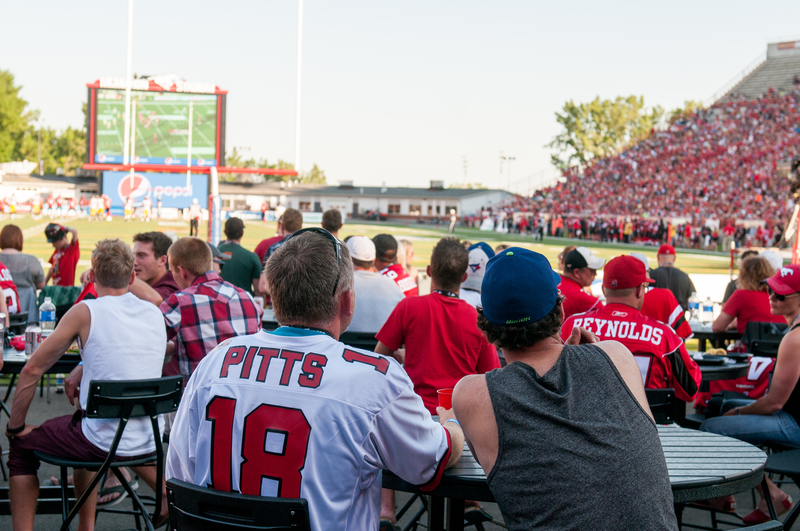 Secure the best seats available for your favourite Stampeders’ rivalries. Enjoy the game with friends! Get great deals on groups of 10 or more people. Purchase or renew your season tickets. You can choose from several payment options available to season ticket holders. Contact information, hours of operations and more. Wheelchair (reserved) seating is available at the north end of McMahon Stadium, under the canopy above the Olympic Volunteer Center. Stamps Bucks and Ticket Office Gift Certificates are the perfect present for all the Stamps fans in your life! Located in the north end zone, the TELUS Patio provides a private field-level view of the game and can accommodate up to 180 people and includes ALL YOU CAN EAT food! The patio is exclusively available for group or company events. 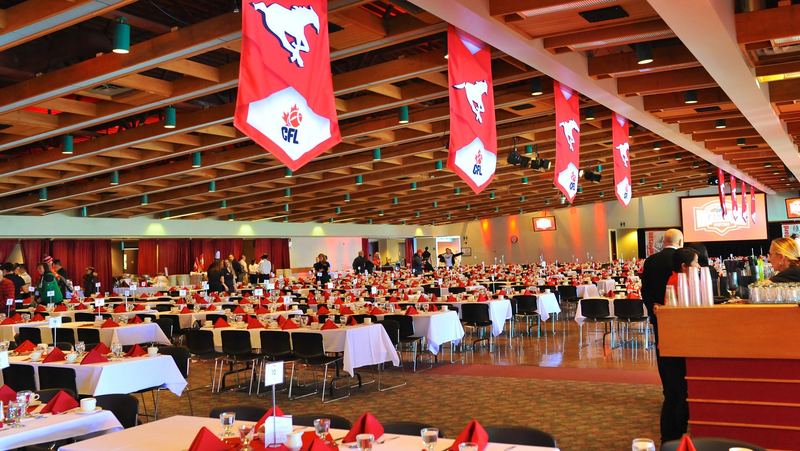 The Red & White Club is an exclusive “Members Only” Club which is open during Calgary Stampeder Football Club games. This exclusive 800-member club is located at the north end of McMahon Stadium and offers Season-Ticket Holders a comfortable area to enjoy a pre-game buffet with full bar service. Located at the top of the east grandstands at McMahon Stadium, the Konica Minolta Club offers a unique opportunity to get close to the action while you enjoy private access, air conditioning and first-class catering. 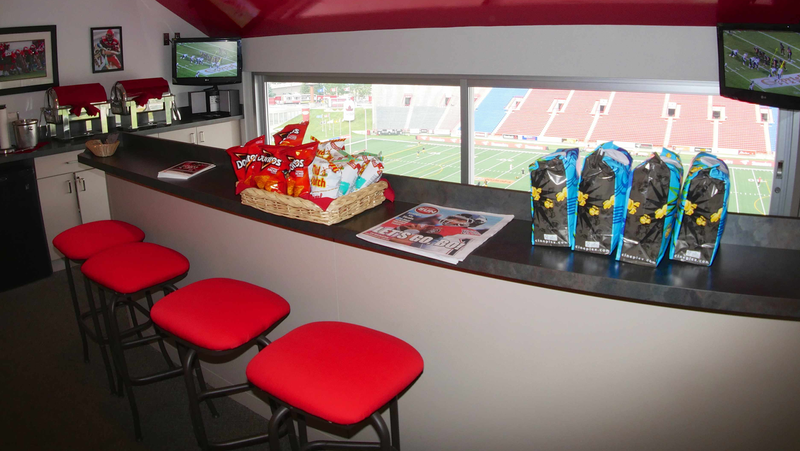 Located at the top of the west grandstands at McMahon Stadium, the West Executive Suites offer a unique opportunity to get close to the action while you enjoy private access, air conditioning and first-class catering. 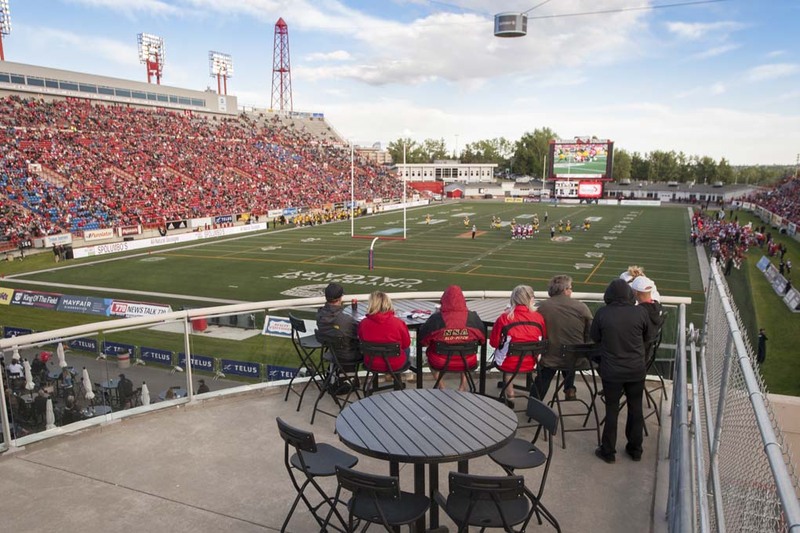 The Snapple Spiked Outdoor Patio Suites offer a unique way to watch Stampeders football at McMahon Stadium!